It’s no secret that the dining scene in Dallas has changed a lot of the last few years, particularly in Uptown. It seems as though, with the exception of a few, there is a revolving door in the neighborhood for restaurants that tend to come and go in the blink of an eye. Lucky for us, Del Frisco’s Grille has proved to be a true staple year after year. As the weather began to cool last week, I had the opportunity to check out some of these new menu items that just recently became available at “DFGrille,” so I packed up a friend and headed to the sprawling patio that lines McKinney Avenue. 1) Their new “Grab A Pair” Lunches. Taking advantage of their prime real estate surrounded by office buildings and apartment high-rises, DFG has this brand new lunch special that, is not only delicious but a hell of a bargain, too. 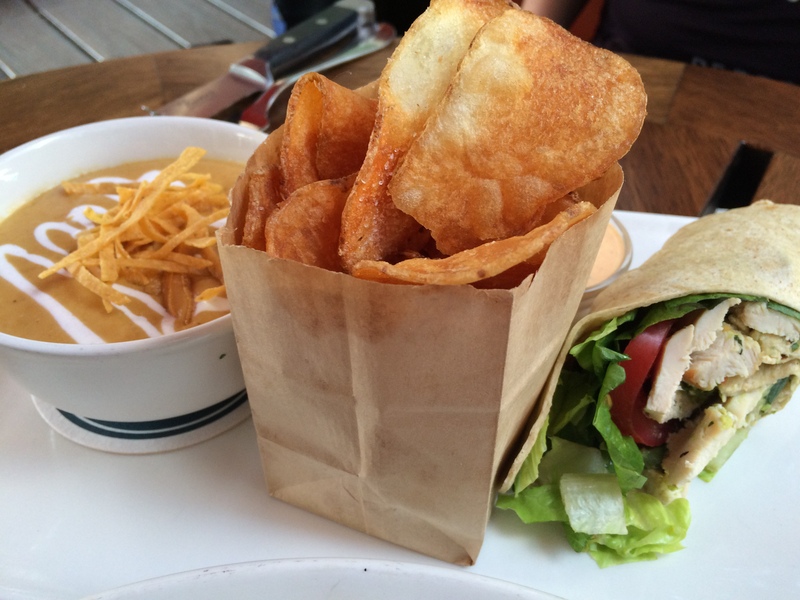 All of the “Grab A Pair” lunches are also accompanied by fresh house-cut potato chips. With this great deal, you will go back to the office with a satisfied belly and a smile on your face even if you do hate your job! 2) The brand new Burrata Salad. Not that I need to describe it any further after saying the magic “B” word but I will. 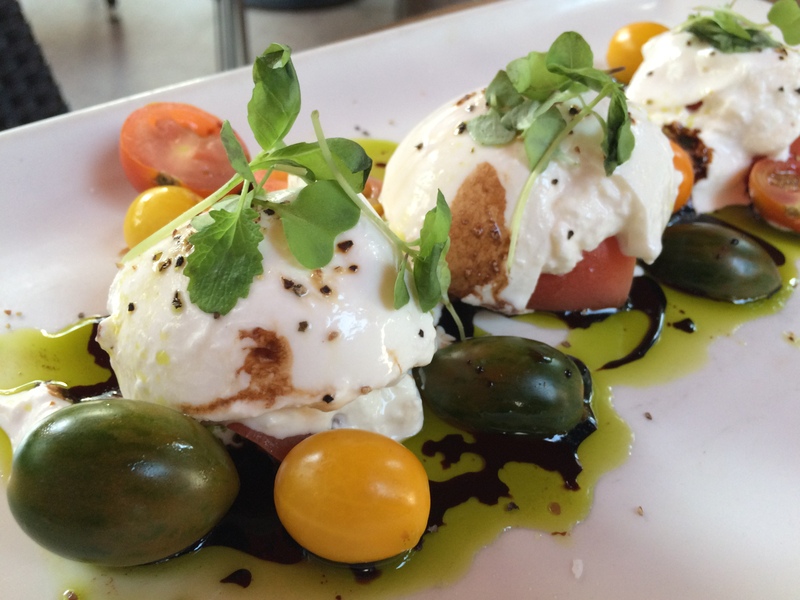 Sliced tomatoes are topped with house made burrata then drizzled with basil oil. Adorable heirloom tomatoes sit on the side of the main event and are drizzled with a bit of balsamic, allowing for a super fresh, super delicious salad that shines all on its own. 3) Butterscotch Pudding Jar. Very similar to a pot de crème, rich and creamy butterscotch pudding accompanied by salted caramel and whipped cream is the perfect ending to a deliciously fresh meal. It is one of those desserts that you don’t feel completely guilty eating but still leave with a satisfied sweet tooth. It is an absolute can’t miss and I ate it too quickly to even take a picture and can’t even apologize for that – go get your own! Now, just because I only listed a few doesn’t mean this is where the new menu items stop. There are so many other options that sounded equally as amazing (flatiron steak, anyone?) but I’m just one person, y’all! I tried to do you proud and eat as many things as I possibly could but at some point, a girl has got to tap out. With that said, I already have my reservation on the books to try everything else so…. Boo-yah. So, whether it has been awhile since your last visit or you are looking to find your new favorite item on the menu, be sure to check out Del Frisco’s Grille and get in on the fun. With locations in Uptown Dallas, Plano, Southlake and Fort Worth you’re never too far from one so quit with the excuses and book your reservation. I promise it will be worth it! 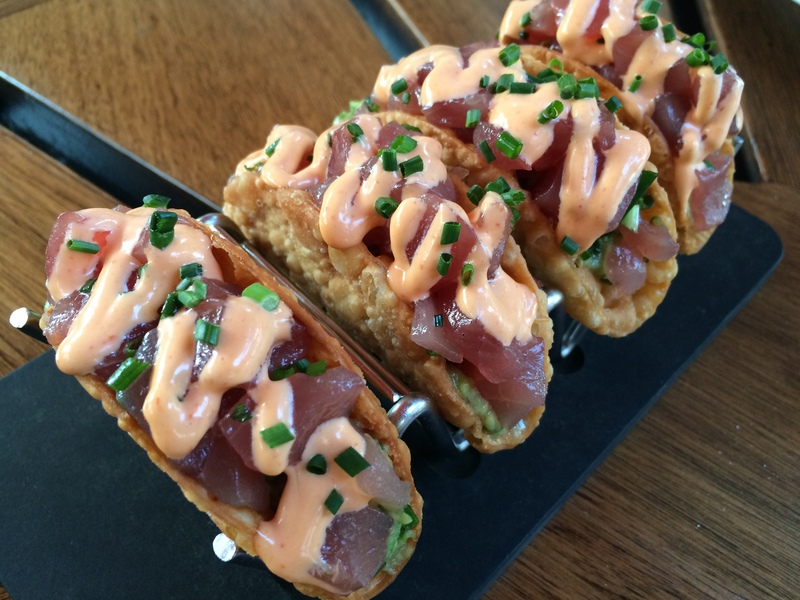 Plus, just look at those drool worthy Ahi Tacos pictured above!